Launched in 1846, the very first Maid of the Mist was a steamboat with two smokestacks. In 1860, King Edward VII, then the Prince of Wales, was the first of many dignitaries to take the memorable trip. Special 150th Anniversary Limited Edition Collectors Series (1 of 6). 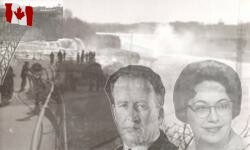 From 1861 till 1884, there was no maid of the Mist on the Niagara River. But by 1892, the voyage was so popular a second boat was built - a powerful double engine craft of sturdy white oak. 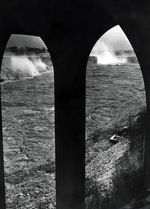 In 1960, the Maid of the Mist performed a historic and heroic rescue when 7-year-old Roger Woodward, wearing only a life preserver, survived a spectacular plunge over the Horseshoe Falls. 1727 records found in Images database. Displaying 1 to 10.